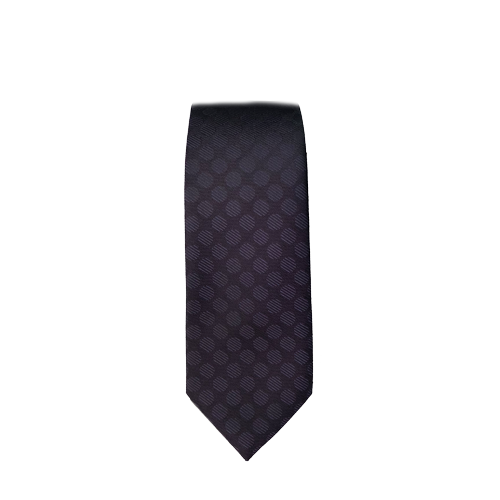 A skinny royal purple tie with a circular foulard design. Works well with light or dark dress shirt colors. Now that's a darn versatile tie!